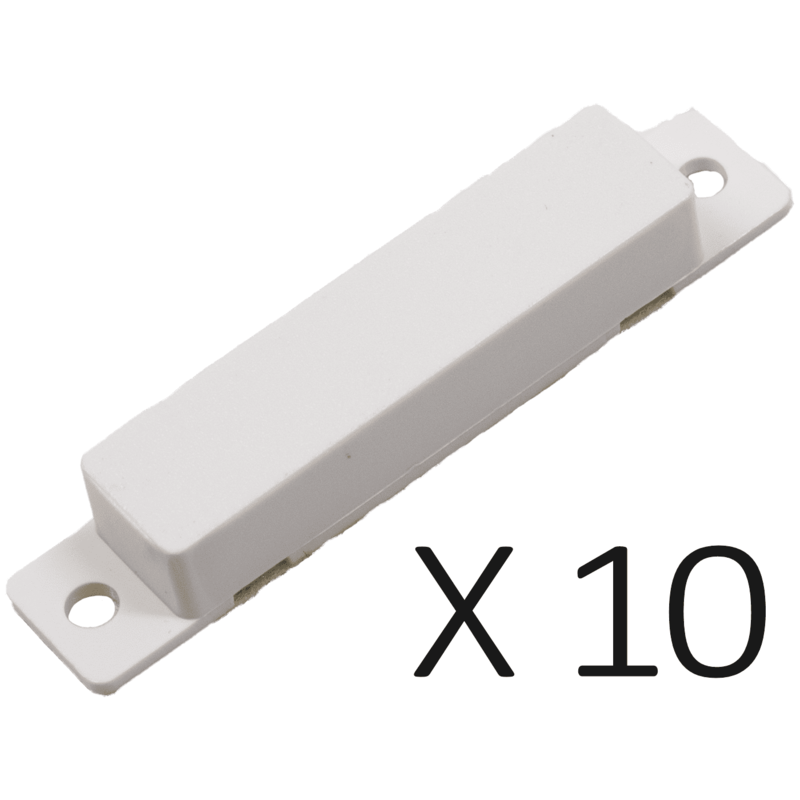 The Honeywell 945WH-M is a 10-pack of magnets that work with any non-recessed Honeywell wireless door or window alarm contacts. If you have replaced doors or windows at your property and lost the magnet for your wireless door and window alarm contacts, this is the correct replacement magnet. The 945WH-M includes (10) magnets with double sided mounting tape for easy installation as well as tabs for screw mounting.